The Deobfuscator has gotten an update and has been rewritten in C#. Everything is streamlined, all you need is internet. Everything works on our end, but let me know if there are any issues. Hopefully, we can add some features that didn't work very well in the old version. The links to the old versions will remain for now as well. This program will go a decompiled mod (zip or jar file) and replace all obfuscated names while copying over everything else. For example, the obfuscated fields like 'field_151034_e' or 'func_130014_f_' will be replaced with the MC name APPLE and getEntityWorld, respectively (as defined by MCPBot). This can be helpful with retrieving any lost code. The purpose of this program is to aid in the retrieval of lost source code. There are up to +33,000 obfuscated fields, params and methods and having to cross check each one by hand is impractical and time-consuming. This will do the work for you. To use this program, you first need to get a decompiled version of the mod. This program does not decompile mods itself (but may do so in future versions) and will let you know if the mod you supply is not decompiled. To learn how to decompile a mod, read the How to Decompile a Mod section. After you have your decompiled mod, press the open button and navigate to the decompiled zip or jar file and select it. The destination to save will be auto-generated, but you can specify where you want to save to by clicking Save To. Note that it will always save to the specified location and create an output folder and that the deobfuscated version will have the same name as the original. Finally, select the mapping you want to use and click Start. You can use a decompiler such as ByteCodeViewer or JD-Gui, but I recommend FernFlower. More specifically, the version that Forge's modified. To build FernFlower, download and unpack the zip. Shift+Rightclick and select Open PowerShell window here and type ".\gradlew build". Once it's built, it will be in the build >> libs folder. Then follow there read me to learn about commands. This program comes as is: with no expressed or implied warranties. This program has all rights reserved. You may use the program for either personal or commercial linking to this forum is encouraged. No permission is granted to anyone to provide/host any alternative downloads, nor shrink the download link. All links should directly point to this page. Deobfuscate with the latest version for your target version. Then deobfuscate with each version that is below the latest until you get to the original environment. This will update the references to the most current/most recent naming conventions, which can make updating easier. Most of the time the code won't be a perfect match to the source. This is due to decompiling of the mod. Try using serval decompiled sources to get the most accurate code. You can deobfuscate a non-decompiled mod first, then decompile it. If you would like to support me and see continued updates, then please ! A new update. Check the read me and change log. Just tested my deobfuscator on minecraft itself using the decompressed but obfuscated version in minecraft forge extracted from the jatr and put in to a zip, my program handled deobfuscating it in 2 seconds! Interesting. Too often old src from 1.6.4 is obf'd. Check out GT++ for GT5/5u/CE on Curse! This slightly worries me. It can take ANY mod and turn it into source code, allowing for the less-honest community to steal source code. My code does not produce source code/decompile mods. What it does is take decompiled mods/source code and deobfuscate them. What that means that it changes the unreadable func_149174_e to the function getStack. This information is publicly available at the MCPBot website. This program simple automates the process of looking up these names and replacing them inside the file without having to search through 32k+ entries really fast. I would also like to note that it can now automatically download these entries that the user selects amongst a drop down list and can support one the user already downloaded. Just realized I never mentioned these features in my original post. I'll update this now. After who knows how long, I ended up rewriting the program in another language and added the function for automated downloading. Heh, sorry 'bout that. I don't bother reading entire posts before coming to conclusions. Now that I realize just what this does, it's pretty cool. Thanks. I'm actually working on documentation for how this works. I think I'll post it here when I finish with this. Unfortunately, finishing the upgrades I wanted to make will take some time as I may need to restructure my code and due to school and some other reasons that will be postponed as the program still works as intended and the beta is fairly functional, except for live versions. My favorite thing about this program is how it handles data and the efficiency it does it with. I have tried this, but it looks like it does nothing ? I have tried both version and both saids it replaced things but I dont see the changes. How broken can a forum be. 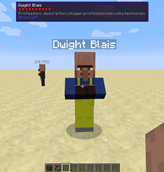 What mod and Minecraft version did you try? Was it decompiled? This program doesn't decompile, you need to decompile using some other program first. lol, I'm glad you found some use for it. It makes me feel bad for not making the interface better. Maybe when I finish working on my other project. I've got a better idea for a deobfuscator. How about a deobfuscator that automatically generates deobfuscated names, and therefore eliminates the need to download a separate mapping file. Each time it runs into a collision between a class name and a package name or function name or field name, or any combination of these that can cause a collision, it resolves the issues by generating a unique name such as class_1234 or something like that. It then scans all the other files for references to that class, package, function, or field, and fixes the references as required. It then increments the number portion of the name, each time it discovers a new class, package, function or field that needs renaming. The output of this deobfuscator is a jar file containing all of the renamed code, and also a separate mapping file that can be used to re-obfuscate later. To make a mod, simply decompile the deobfuscated jar with whatever decompiler you prefer (such as JD GUI). Then after editing the source code, use whatever Java IDE you prefer (such as Netbeans) to recompile (or if you only need to recompile a few class files to make your mod, you can use javac.exe directly from the command line). The last step is to use the deobfuscator with the command line switch -reobfuscate, in conjunction with the map file auto-generated in the first step, to reobfuscate the class files in the output jar. This jar file would contain the modified and reobfuscated class files, which could then be directly copied into the original game jar file to replace the corresponding class files to install the mod. 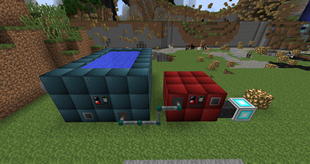 Because no original mapping file would be needed, this would work on very old versions, for which the makers of MCP have not created mapping files, such as Classic and Indev versions of Minecraft. While such deobfuscated class names, method names, package names, and field names would not convey their purpose like level.class or something, any names involved in a collision would be changed to be absolutely unique with classes that got renamed so they would always start with "class_" and methods (functions) that got renamed would always start with "method_" etc. This GUARANTIES that they could be recompiled, as there would be no collisions between the names. And this means that simple edits to the source code could be performed, by simply looking at the source code and guessing the functionality of a given variable or function, based on the context in which it was being used (such as a String variable getting set to the name of a level file, indicates that the variable in question is being used in the level saving or loading process). Because the deobfuscation process generates a mapping file, if that mapping file were in plain text (such as CSV), then when one did find the functionality of a class or function, they could manually rename it in the mapping file, and then use the edited mapping file to again deobfuscate the game's jar file but this time including the filename of the mapping file (instead of no file name). Now instead of generating a mapping file, it would load the existing (and edited) mapping file, and generate class file names, method names, field names, and package names, which much more accurately describe their functionality.